VR, for the most part, is still a gimmicky experience. Maybe the answer is another gimmick? When paired together, the first gimmick (virtual reality), and the second gimmick (Robot VR or Gyro VR) could prove to be a potent combination. Robot VR and Gyro VR are both machines designed to mimic the movement of what passengers are seeing in their VR headsets. If a roller coaster moves, you do too. If you’re flying a plane, the machines pitches and rolls as you do. If you’re piloting a robotic mech, well… you get the idea. Both are motion machines, but each differ in how they achieve said motion. Robot VR uses a massive robotic arm full of proprietary components to deliver both stability and flexibility. It’s best suited for “jerky” movements due to its ability to raise and drop its passengers, as needed. That said, it’s also capable of incredibly smooth movement when required. It also offers greater side-to-side movement potential than its counterpart, Gyro VR. Gyro VR is better suited to experiences that involve spinning movement. Flying through space, driving a submarine, and the like are just some of what Gyro VR is capable of, although it was originally designed to be a sort of movie theater experience. Now, it’s a bit of a hybrid capable of a lot of really cool experiences. Neither has a distinct advantage, as each offers varying types of movement that could be better suited to the simulation you’re seeing at the time. VR as an in-home technology is still a rather gimmicky experience. Most lack the PC horsepower to run powerful experiential simulations, and until 4k (or higher) resolution starts to grace each side of a VR headset it’s mostly a toy at this point. That’s not to say it isn’t a damn cool toy, but VR as a futuristic form of entertainment is, well, not there just yet. What VR can do well is offer a way to experience movement in a whole new way. The carnival ride-type Gyro balls, and expensive movement machines open up entirely new worlds when paired with a VR headset. That said, this definitely isn’t an at-home technology, but if you get the chance to try one at an event or theme park, it’s worth the price of admission. Over time, the technology will shrink to where something similar might find its way into an in-home market, although it’ll probably closer to the Virtuix Omni than the Robot VR or Gyro VR. Gyro VR is already here, although it’s limited to traveling demonstrations or theme park-like attractions with sizable purchasing power. 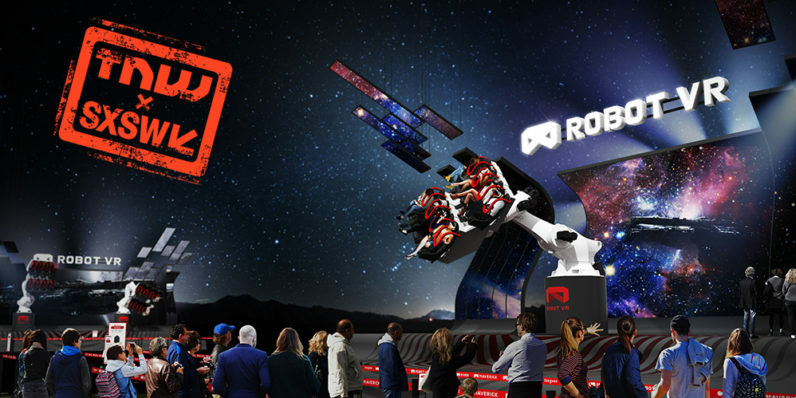 Robot VR is still under construction, and should debut soon, but only in Korea (for now).